Steve Krenz ‘s Gibson Learn & Master Guitar course produced by Legacy Learning Systems, was the Winner of the 2008 Acoustic Guitar Magazine Players’ Choice Awards, two Telly Awards and an AEGIS Award for Excellence in Education. The Expanded Edition includes 20 full produced, clearly explained and demonstrated DVDs; 5 Jam Along CDs with many features; 108 pages detailed Workbook; Lots of supplemental files online(songs, music, guitar tabs, tips and tricks). Gibson’s Learn And Master Guitar offers a great assortment of guitar training materials and follow along videos. This is a pretty comprehensive program offering 20 DVDs with high quality video demonstrations, printed materials, Jam-along CDs, Professional instruction, online Support and community engagement opportunities. The videos themselves are professionally edited with angles and features that allow the learners to really see what the instructor is teaching (this is very important for finger work). The enormous and professional offering of printed materials provides a very real opportunity for the guitar player to follow along the DVDs, CDs and physically carry music around and other great instructional materials as they play guitar. Gibson’s Learn And Master Guitar also provides some great “Jam Along” songs that reinforce the lesson in the materials and providing much of the “real world” guitar playing experience. What’s also unique about Learn And Master Guitar is that it offers great backend support and has created a real online community for people to discuss successes and challenges. A real secret to the Gibson’s Learn And Master Guitar course is that they offer a really great instructor providing easy to follow lessons. The lesson package is pretty well organized taking the novice player to the intermediate player and moving on from various levels of ability in a determined progression of skills. They’re not too many drawbacks to this comprehensive package. Legacy Learning Systems has been doing these lessons for quite awhile and has ironed out any bugs in the video. Other programs offer a variety of different instructors allowing the viewer a chance to see the unique style and instructional techniques from a variety of musicians. And Recently, Legacy Learning Systmes published their Learn & Master Spotlight Serials: Blues Guitar, Guitar Setup. The instructor of Learn & Master Blues Guitar is Steve Krenz, Learn & Master Guitar Setup is Greg Voros. Gibson Learn And Master Guitar offers the instruction of Steve Krenz, a great musician and instructor, but no one else. If the learner doesn’t click with the instructor or the type of lessons he offers, you may run into a problem. Perhaps in the future it will offer a greater assortment of instructors and styles. For now, the talented Steve Krenz is all they have. It would be hard to imagine though, because Mr. Krenz seems very thorough and experienced at demonstrating all of the Learn And Master Guitar lessons. 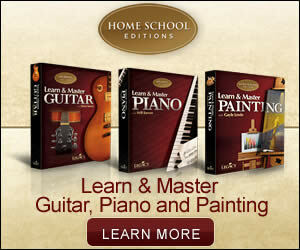 And Gibson Learn And Master Guitar doesn’t offer download version for instant learning online. All of the videos come in fully packaged DVDs, you must wait for days for the delivery of the DVDs. – which is fine for some people and not for others. Gibson’s Learn And Master Guitar is a great deal. Currently they are offering their product for $149 or at a monthly rate of $49. The price at any level provides extra bonuses for a variety of skill sets. The quality of videos is very good, which is important for learning and maintaining your focus. The instruction by Steve Krenz is excellent. You would certainly get your money’s worth here. * Gibson’s Learn & Master Guitar Has Started their Christmas Sale, Only $149.This is 40% off! * Gibson’s Learn And Master Guitar comes with a 60 Day No Question Asked Guarantee. If you are not satisfactory with the course, simply return the course within 60 days for a full refund of the purchase price. * Gibson’s Learn And Master Guitar is available from Legacy Learning System’s official website, meaning you can only order it through the internet. And their official site is the only place where you can order this course. Then you’ll wait for days for the delivery of the DVDs. * Live outside the United States? No problem! Gibson’s Learn & Master Guitar ships internationally every day and have become very proficient at it. In most cases, it only takes a few extra days for delivery. You get the same sixty-day, no-questions-asked, money-back guarantee as their U.S. customers, the same great service, and the same great guitar training.